The world of backup software is very extensive and competitive on the Windows platform. Software like Backblaze, Crashplan, and Mozy are some of the most well-known proprietary titles in this area. Backup4all Pro is a different piece of software in the respect of how how much detail and control the user has over their backups and logs. After using it a bit, I’d recommend Backup4all Pro to any backup enthusiast, novice or not. At retail, Backup4all Pro sells for $49.95. Here at MakeUseOf, we’re going to be giving away 25 copies of one of the best all-around Windows backup solutions on the web, totaling at a cost of near $1250! 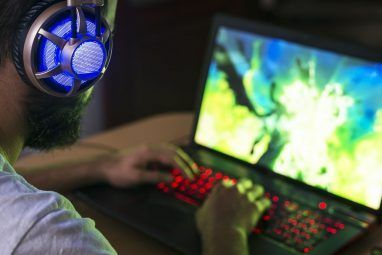 If you’re interested, read through this review of the software and learn more about the participation details of this giveaway near the bottom of the post. Backup4all Professional 4.8 makes it incredibly easy for a layman to get started backing up their data locally or remotely. Upon starting the program, you’re immediately presenting with a Getting Started wizard filled with how-to examples and video tutorials. Similar software doesn’t go through the efforts of explaining proper usage right within the UI of the program itself. As shown above, Backup4all supports FTP and SFTP, as well as backups on the local or network levels. Unlike services like Backblaze or Mozy, Backup4all does not have its own cloud where you can send your files. Though backup this way has its clear benefits, there are also many drawbacks (security, cost, and so forth). Through the advanced mode when setting up a new backup, you’re able to configure the most specifics ins and outs of the backup process. I appreciate the level of control that they offer to the user, as not everyone is a huge fan of the set-and-forget application model. You’re able to set up email notices when your backup has finished, process priority levels, and you’re able to determine if you’d like your backup to be incremental, differential, mirrored, or complete. Such options can really save us time and stress to the hard drive. Backups are executed quickly and smoothly. Upon completing a backup, you’re taken to the Statistics review page that will report any errors and a full summary along the way. Other view modes, under the Views tab across the top menu, include Explore (which shows a tree view of backed up files on your drive), Summary (which shows a complete text summary of your backup type), Backup (which breaks down each individual backup you’ve ever run), and more. The restoration process is just as simple as backing up your files. Shown above, you can see how extensive and specific the options are. You can easily run a complete restore of backed up files or choose through individual files or increments that you want to restore. Again, Backup4all has made efforts to make the entire process very painless and pinpoint. As mentioned before, Backup4all also supports common features like a scheduler and a tester, so that you can test for the integrity of your backups to make sure everything is as it should be. You’re also able to burn your backups to Blu-ray or DVD. Another awesome feature that shouldn’t go without mentioning is the software’s plugin capability. You’re able to download plugins from the official Backup4all website that allow the importing and backing up of data from some of our favorite third-party applications incredibly simple and easy. That includes software like Google Chrome, iTunes, Skype, Pidgin, mIRC, and more. This feature really puts Backup4all Pro ahead of certain comparable software. Overall, I’d say that Backup4all is the answer to Windows backup when you’re looking for a piece of software that will allow you to easily backup your most important files while also having complete control of the specifics. Backup4all is compatible with all versions of Windows from XP forward, and other versions are available, like Standard ($39.95), Lite, ($19.95), and Portable ($39.95). You can buy these versions, or Professional, from the Backup4all website. 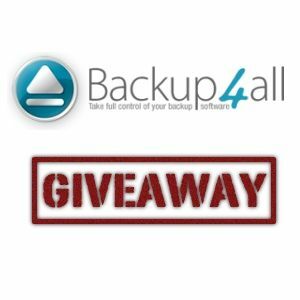 Only 25 free copies of Backup4all Pro are up for grabs, so make sure you enter the giveaway while you can. Again, this is an awesome tool for those of us who want full control of our backups on Windows. How do I win a copy of Backup4all Pro? Congratulations! If you were selected as a winner, you would have received your license via email from jackson@makeuseof.com. If you require any assistance, please get in touch with jackson@makeuseof.com before July 18. Enquires beyond this date will not be entertained. This giveaway begins now and ends Friday, July 13th. The winners will be selected at random and informed via email. Explore more about: Computer Maintenance, Data Backup, MakeUseOf Giveaway. Having just had to reinstall my operating system, I would say I definately need this. So I signed up for the "Game System". I need 25 points to enter. Once you have logged in with which ever media you should see your name and profile picture at the top of the page on the right hand side. Your points are underneath it assuming you have contributed and earned points that is. Makeuseof is the best. OK! WOW It worked toay, every other giveaway I've tried to enter said I had the code wrong, try again when I did it said my email was already used. It wasn't. Whatever THANKS! Great give away, HAPPY to be included in a chance to win. I'm disappointed. This is a contest - not a giveaway. And I do avoid Facebook for privacy reasons. You don't have to use Facebook. You can also share on Twitter or Google+. And if you don't want to use social networks at all, you can create an account with MakeUseOf, earn points, and then trade in points to enter. You can sign up with MakeUseOf using one of your existing accounts, including Google, Yahoo, or OpenID. An exellent program which I used previously but los due a defective hardrive. I did not back up properly. I hope I do win! Its got some very good features. Can it handle *.bkf (Windows XP backup) file format. Would be great if it could for conversion purposes. Thanks Craig for giveaway, Backup4 All is indeed a great backup solution.